Preserving a glut of fruit is easy compared with other foods – who doesn’t love jam? But there’s another delicious way of using up excess fruit for store-cupboard storage; fruit leather. Great for the kids to help with making (and eating! 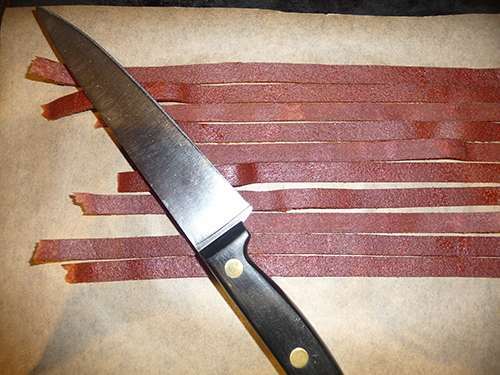 ), fruit leather is easy. Use the fruits you have – most soft and hard fruits are suitable – but try to include an apple or two in the mixture, as the pectin helps the leather to set well. You can even use canned fruit for this recipe. Peel apples and pears if you wish, but there’s no real need. 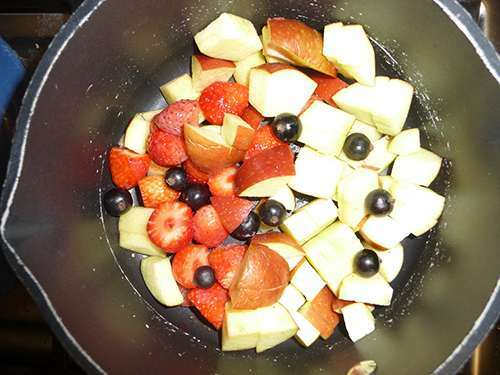 You can skip the stage of cooking the fruit before blending if you like, but pre-cooking the fruit does give a sweeter and more pleasant taste. If your fruit isn’t sweet enough, add a pinch of sugar, but remember the natural sugars in the fruit will become more concentrated as they dry out in the oven. The old way of making fruit leather involved letting the pureed fruit dry slowly in the sun. Give this a go by all means, but for the purpose of this recipe we’re sticking to the oven method. Ripe fruit, washed and patted dry. 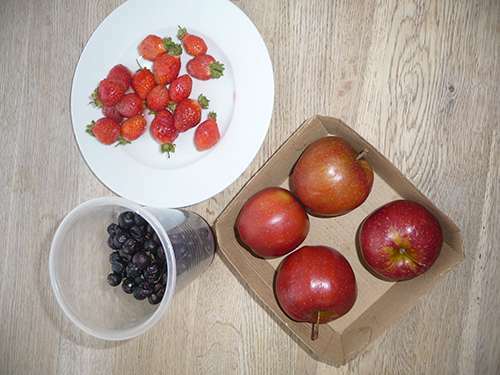 Strawberries, blueberries, plums, apples and pears all work well. 1. Pre-heat oven to 120 degrees. 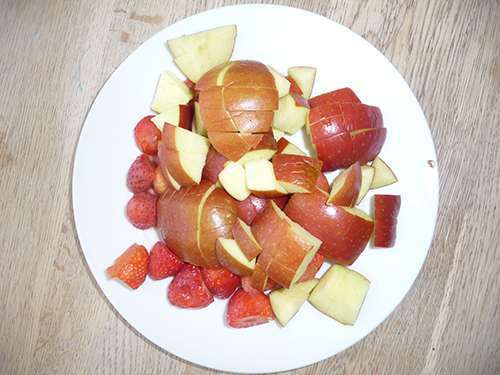 Chop your fruit into small pieces. 2. Place in a saucepan over a low heat with a splash of water for around 10 minutes, until fragrant and softened. 3. Place into a blender or food processor and pulse until smooth. Strain the mixture if you really don’t like tiny seeds such as raspberry pips in there, but otherwise don’t bother. 4. Spread thinly and evenly onto a baking sheet lined with lightly oiled parchment paper, and place in the center of the oven for between 4 – 10 hours. Different ovens vary tremendously, hence the wide range. If you know yours is a ‘hot’ oven then cut the drying time. Either way, keep checking the leather as it dries out – it’s surprisingly easy to leave it too long! 5. When dry to the touch and not tacky, peel away from the parchment paper and allow to cool. 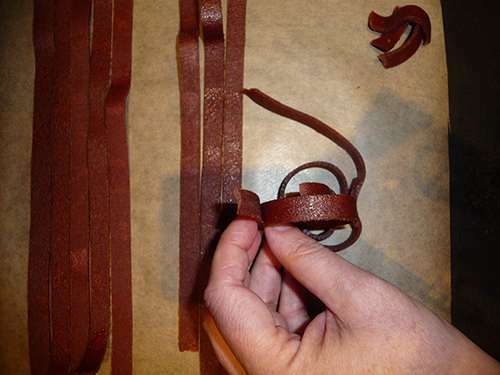 Carefully cut into ribbons as broad or narrow as you like, turning over the strips to ensure both sides are dried. Roll up loosely and store in a plastic or paper bag, clipped with a peg. As well as adding to your store cupboard supplies, these sweet and healthy snacks are ideal for travel or camping out. A natural energy boost, fruit leather will store at room temperature, out of direct sunlight, for around two months. You can keep them for longer in a refrigerator, where they should be good for up to six months. How does one know when fruit leather is “bad” or no longer edible? Does it become dangerous to eat at some point or does it just lose its nutritional value? I presume that if it is covered with mold that might be a clue that it is better to toss than to eat. I am really inquiring about non-visible problems. Claude: Your new screening program is a real drag. I realize that you probably get hit with thousands of spam messages a day and it takes a major portion of your time screening them out, but I don’t think this screening program that you have installed is going to make the viewers of this list very happy. I’m with you there, Chuck. The biggest problem I have with it is that because the post doesn’t appear right away I don’t know if it went through properly or got lost somewhere along the way. And if I’m posting a lot of info and it does get “lost” then it’s a total waste of time and effort and impossible to re-post. Thank you so much for letting me know. I personally didn’t change a thing. I think it’s a plugin that updated to a new, more complicated version. I’ll try to fix it right now. Roll up leather with Saran wrap before cutting (like a pumpkin roll) to keep from sticking while in storage. I use parchment paper. Supposedly, these last a very long time if stored in vacuum sealed jars and of course, not in the heat. Old fruit leather tends to get hard and too dry in dry country and gets damp and sticky in a humid area. Both can be boiled with some water or apple juice and used like applesauce or stirred into applesauce. My dad liked the reboiled leather spread on pancakes. Mom liked hers stirred into peanut butter and used as a sandwich spread. Too dry leather might keep almost forever. The damp leather should be used once it starts getting sticky. Anything molded could be trimmed or just thrown out. My kids would have eaten fruit leather as soon as it was dried enough to roll up. Spoilage wouldn’t have been a problem. Before rolling up Mom would sometimes lightly dust the leather with cornstarch. We often dried leather on plastic wrap turning it to finish drying the second side on fresh plastic wrap. 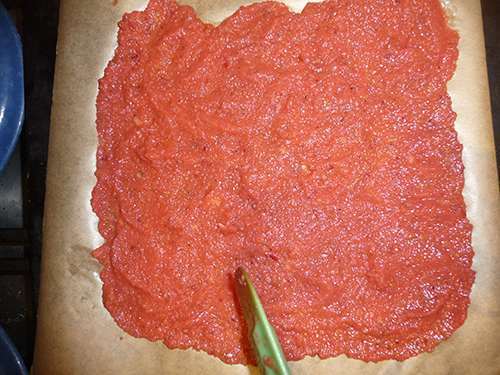 The color of fruit leather is best when done in a dehydrator or in the oven. The flavor is good done in the sun but color suffers unless you’ve added a bit of fruit fresh or citrus juice. 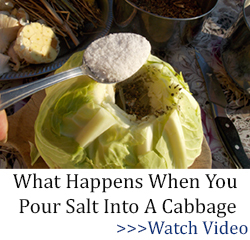 Clergylady: Thanks for the info. While this article about making fruit leather is very helpful, in my opinion it lacks a vital element. 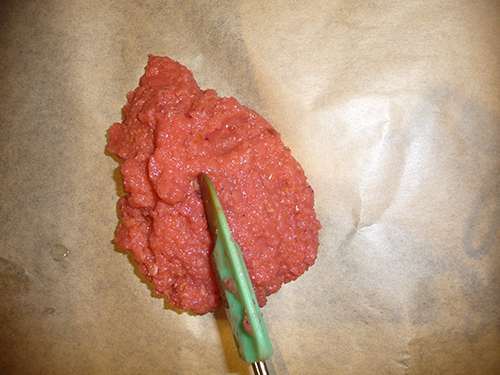 If our grandparents or great grandparents made fruit leathers they did not use an electric blender or food processor to create the puree. For folks who are contemplating preparing for an end of the world situation, writing an article that incorporates using modern appliances that require electricity to operate isn’t very helpful to the large majority of readers of this list. I can remember how my mother used to make vegetable or fruit puree. She had a sieve that had a rotating set of blades attached to the rim. She would put the softened fruit or vegetables in the sieve and rotate that handle on top to crush the material and force it through the screen of the sieve. She also had a much smaller but similar device for sifting flour before she baked. I don’t know if that is absolutely necessary before baking but I have a mental picture of her sifting flour before baking cakes and pies. She didn’t make much homemade bread so I don’t remember if she sifted flour before making bread or not. I don’t know if food puree sifter is still available in the marketplace and even if it is, I don’t know its real name, so I am handicapped in trying to find one to purchase because I certainly don’t have one among our household kitchen items. A truly helpful article for this list is one that describes using hand tools and appliances and the proper way to utilize that tool and names the tool. Additional help would be sources where the tool may be obtained and even suggested retail prices. 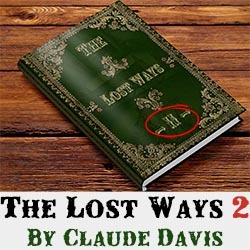 Just some suggestions that you might pass along to your authors and potential authors, Claude, for future articles. It seems generally agreed that should such catastrophic events as I named occur we will be thrust back to life as it existed in years long gone. The only disagreement is how many centuries back we will be thrust. No matter how primitive the times will be, we will have knowledge that didn’t exist even 50 years ago much less 100 years ago. Having that knowledge will allow us to know what is possible. The big disadvantage that we will have is that we won’t have the infrastructure that supported that less sophisticated lifestyle. I have in past posts enumerated some of the life skills that only a few hobbyists have that were common knowledge and some of the supporting businesses that existed that no longer exist. Wheelwright is one business that no longer exists. In the day of buggies and animal drawn vehicles, fashioning a true wheel was a skill that was in much demand. More than 30 years ago there was a buggy maker who plied his business locally. He sold nationally. He had to. The demand for buggies in the 1980s and 1990s in SoCal was fairly limited. I don’t know if he is even still alive today. He might have been the only buggy maker/wheelwright in SoCal. If he is still alive he would be a national treasure in an EOTW situation. In bygone years most towns of any size had a buggy maker and many blacksmiths were also wheelwrights. I don’t know if there is a true blacksmith within 50 miles of where I write this — another piece of information I need to track down. For pureeing, the Victorio food strainer, manually operated, would work for this. For mixing cake batter and chopping, Tupperware makes something called a “Power Chef”. It mixes and chops really well. I have one. For a blacksmith, I am sure there are plenty of people with horses around. Some forge their own stuff and some don’t. A google search of “buggy wheelright in california” brings up quite a few folks. Thanks for the info. I tried Yahoo search and Google search using the criteria you mentioned. Yes, there were either 295 or 395 wheelwrights in California. That is that number of people whose last name is Wheelwright. I found two wheelwrights in the U.S. one is South Dakota and one in Texas. Canada has the western wheelwright association and there is a wheelwright school located is Saskatoon, Canada. So anyone interested in learning a new trade that will be quite useful in an EOTW situation, wheelwright schooling is available. If I were to learn a trade at this age, it would be gun smithing with an emphasis on hand finishing, hand honing, hand polishing, hand boring and reaming. I would stock up on springs, screws and other parts that generally need replacing for the most popular guns being sold. However at my age, I am not really seeking to acquire new life skills. I am just going to have to get by with what I have. The Victorino food strainer looks like it would do the job. The device I remember my mother using was a much simpler device. I have looked at food strainers. Amazon has 14 pages of them with some interesting items under food strainer, including a woman dressed in a zebra suit. Can’t quite connect food strainer to that image. The Power Chef has good reviews but its main drawback is all plastic. 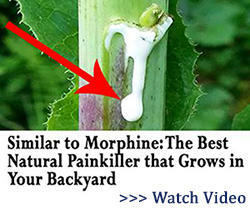 Not especially conducive to long term, daily usage. Thanks for the referrals. It got me looking in a different direction. Yahoo would turn up different results than Google. And the list goes on. So, I’m not sure you typed in the word “buggy” at the beginning. Not trying to be disagreeable, but there are plenty out there. I’ll try that. Thanks for the references. You mentioned gunsmithing, Chuck, and obviously that has it’s merits. If our downtime is going to be in the order of years it might be well worth the effort to become very good with a bow and arrow. For bigger game a crossbow. I know there are people that successfully go bow hunting. If we end up in an extended EOW situation then it doesn’t matter how many bullets we have to begin with. Sooner or later we’ll run out. To have large supplies of black powder on hand comes with its own problems. And to make modern firearm-grade gunpowder is a big deal not to mention refilling all the spent cartridges and having the ability to cast your own lead bullets. If we were thrown back a few hundred years bows and arrows might make more sense. They just take a bit of time to become good at using them. I’ve also thought about air guns. There ARE air guns out there that pack quite a punch and will take someone down and also small game. But then the problem becomes how to refill the air chamber if there’s no electricity to run a compressor to refill a recharge cylinder to begin with. Bows and crossbows bring into play another old vanishing profession — fletcher. There is a skill involved in making arrows. Not quite as skilled, perhaps, as a wheelwright (also called a wainwright I learned a few minutes ago) but still skill is required to make arrows and especially bows. Bows also are not a lifetime piece of equipment so skill in making a recurve bow or a long bow is also required. Crossbows and compound bows have lots of gears and pulleys and other manufactured goodies and until we have a system of blacksmiths established making replacement parts for compound bows and crossbows will be on hold. As to the ability of a bow and arrow to kill large game, the Plains Indians used bow to kill bison and they are the largest native North American animal that I know of. Recurve bows and long bows are the oldest form of bows and require significant time to develop the skill. You don’t just buy a bow, shoot a couple of arrows and suddenly you are Robin Hood or William Tell. The English longbow men who destroyed the French army started practicing when they were young teenagers to develop the skills necessary to be as deadly as they were. 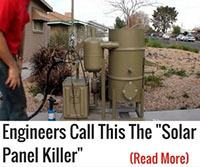 Precharged pneumatics or PCP airguns can be quite deadly. They come as large as .50 caliber. That is not a silent weapon and it has considerable recoil but it will kill most North American game. I would have to be very confident about my skills and equipment before I tackled a bear however, even with a .50 caliber PCP. 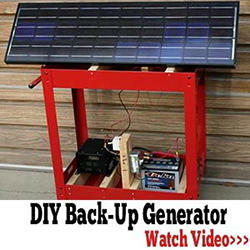 Recharging a PCP can be done with a simple pump similar to a bicycle pump. It is tedious, tiring work but it can be done and many PCP shooters use a hand pump when they are out in the field. You can buy extra cylinders to pump up ahead of time and simply insert them in the weapon much like changing out a magazine. The valves in a PCP are the vital part and if I were going to go the PCP route, I would maker sure I had a repair manual and the parts that get worn out the fastest. Casting one’s own lead bullets isn’t alchemy. I know many shooters who cast their own. You can shoot cast lead bullets in modern firearms. Many shooters shoot cast lead bullets to cut down on wear on the barrel and to save money. You don’t need black powder to shoot cast bullets. If you are going to shoot the bullets generally faster than 1,000 feet per second you need to put a copper cup on the base of the bullet. That cuts down on leading your bore. Reloading is one area where the .223 shines over, say, the .30-06. It takes considerably less powder than the .30-06 to reload. Ten thousand .224 bullets take up a lot less space than 10,000 .30 caliber bullets. .224 is the listed diameter of the .223/5.56 rifle. Don’t ask me why. The whole business of calibers and names is archaic and arcane. Many calibers aren’t even what they are named. The .38 caliber bullet found in the .38 S&W and .38 S&W Special isn’t .38 of an inch in diameter. It is .357 of an inch in diameter that’s why one can fire .39 S&W Special cartridges in a .357 magnum revolver all day with no trouble. It is the same size bullet. The .44 magnum doesn’t fire a .44 inch diameter bullet unless it it lead. If it is copper jacketed it fires a .429 inch diameter bullet. The whole business of bullet names and diameters would take a small booklet of about 50 pages to explain in detail and depth. Perhaps a subject for this list would be a primer on reloading cartridges. Not discussing specific loads, but in general what is available for reloading, what equipment is absolutely necessary and what is nice to have. How one can reload on a budget and with an investment of one’s time, save considerably on the cost of ammunition. That’s some really good info, Chuck. Thank you. Google ‘canning sieve ‘. That’s what my mother and grandmother used to make jelly. Funny you should mention a wheelwright, Chuck. Obviously going to be a much needed skill if we’re forced to go back to horse and buggy for a while. I actually have a video of a wheelwright making a wooden wheel for a small buggy. You have no idea how complicated a process it is and the specialized tools and skills needed to make one. This person made it look easy but obviously it wasn’t. It is not an easy nor short process. Even if you had all the tools not everyone would be able to do it. For that wheel to turn out properly you need to be a very skilled and experienced carpenter with some smithy skills thrown in for good measure to be able to make the iron rim for that wheel. I’ve watched that video a few times and every time I do I just stare open-mouthed in amazement at the skill of that person making that wooden wheel. In the old days I’m sure that every town had at least one wheelwright. These days a very small niche market for the hobbyist at best. I’m sure that the Amish and Mennonites still keep those skills alive. Absolutely amazing to watch that video. Just floored me when I first saw it. Had no idea that making a supposedly simple wooden wheel would be THAT complicated. But it has to turn true and carry considerable weight. Even if you don’t have a buggy, Armin, but something with wheels, a wheelbarrow, yard cart, even a bicycle, eventually the tires will be gone and the rims so dented and twisted you need new wheels. Enter the wheelwright. Or, you can build a cart but those egg-shaped wheels that you made just are so hard to pull. Enter the wheelwright. Some younger peppers might want to consider attending the wheelwright school in Saskatoon, Canada. That will be a skill that will be in huge demand should society break down. There must be some wheelwrights in the Amish country because reading about the pioneers crossing the plains, wheels breaking down and the rims coming off were something that happened on a daily basis with a group of emigrants. True, they were going cross-country and most of the buggies the Amish use are run on paved roads which lead to longer life, but eventually the wheels have to be serviced. While I think that most of the Amish probably can do a fair job of fixing their own wheels, I would think they would need wheelwrights to fashion new wheels and to repair wheels damaged in collisions. There just has to be more than two wheelwrights active in the country. By the way, if you are in the market for a buggy, the wheelwright in South Dakota has buggies for sale. Make sure you have plenty of cushion on your Amex card though, they are not cheap. The sheepherder’s wagon was $49 large. Yes you are one talking about a flour shifter, still available but you have to look. And yes, for certain baked items it is necessary. The second, a food purée with a hand crank is available. But either in a second hand store or a speciality market. The third tool I,would recommend is a hand crank meat grinder. This will also grind apples (applesauce etc.,), and other veggies what have you..but for baby food is an absolute necessity unless you want to spend a lot of time,mincing veggies and meat really small with a knife. Or as the wolves do, chew it, swallow and regurgitate. Look for multiple use always. The one thing I did not see that takes damn little space is a mortal and pestal (sorry for spelling errors). Grinds soft leaves, seeds, up to bark. Small to carry, works for me. oh yes and more than one way to start a fire. Thanks for the tip, Rydaartist. I did find flour sifters on Amazon. I never thought about using a meat grinder to grind fruit. Why not? If it can grind meat it certainly can grind fruit. That’s what so great about this list. You may have a blind spot about something, but someone else can enlighten you such as happened with this exchange with Rydaartist. Mortar and pestles are commonplace here in the PDRK due to the large percentage of folks from south of the border who still use that appliance in their homes, although I suspect that their use is mainly limited to folks my age or a little younger. I suspect the younger folks use electric appliances. 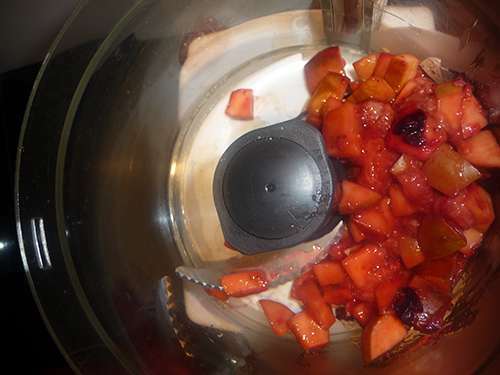 I think I will skip recycling the fruit via regurgitation for making fruit leather. Thanks for the tip, though. Sorry Chuck, the grinder/chopper completely slipped off the rails in my mind. Mom had a grind plate with holes anywhere from 1/16 – 3/4 inch. she made apple & pear sauce up to ground chili meat with that thing. I lost it after my house burned & the scavengers got to it for scrap metal before I got over my broken leg. Chuck I know of a couple of pieces of kitchen gadgetry that would get close & maybe by running it thru more than once. First is a RICER which makes little pellets but I think you could use a dough scraper to mash it or run it thru a second time. There are several types of sieves or strainers that should work pretty well. There are even hand crank processors or blenders. There is a wheelwright in nearly every Amish community across the US. 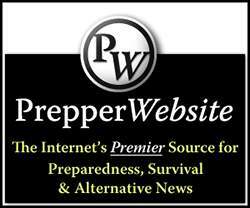 They have been modern day preppers for the past 200 years. My grandmother used baby food to make fruit leather with. Another clever idea but, of course, in an EOTW scenario, baby food will quickly disappear. The methods that interest me the most are those that require no electricity, no power tools, no chemicals, no supplies other than totally natural supplies. In other words, wood, sand, dirt, grass, leaves, strictly mechanical tools. For instance, instead of an electric knife sharpener, hand sharpeners, a hand operated sharpening wheel. Instead of battery operated drills, hand drills. ditto saws. Chain saws are fantastic but when the gas is gone, the chain saw is just a large, heavy boat anchor. Care and maintenance of sharp instruments, saws, axes, knives, machetes. How to sharpen each. Hand saws used to be 24 inches long and you got them sharpened when they got dull. The new ones are a little over 12 inches long and you throw them away when they get dull. In an EOTW scenario you are going to find sawing wood tedious with that dull little saw. A detailed article on how to sharpen saws would be extremely interesting to me, at least. As well as sharpening a saw you have to reset the teeth & do it fairly accurately. You might be surprised at the amount of set you will take out of a hand saw blade just sawing soft wood. First of all, Chuck, about buggies and wooden wheels. WOW! Had no idea. I’m fairly handy and it might be worth my while to learn the art of wheelwright as a hobby for now. To me the process is absolutely fascinating and mesmerizing. If you’re interested here’s the link to the video.https://www.youtube.com/watch?v=dQSMs-b0Jzg In an EOTW situation the only people that have a chance of surviving are those that are useful to their community as a whole or those that rule by force of arms. And the latter will have similar groups fighting each other until, hopefully, they wipe each other out. And in this new dawn scenario, and we’ve also beaten this to death, our chances of survival will be better if we co-operate with each other. Instead of trying to kill each other. As for sharpening saws by hand, it’s not all that difficult. Just tedious. Get yourself a set of triangular and 4-sided files and then just sit down with your saw and try and match the original angle as much as possible. File away until the cutting faces are nice and shiny and evenly filed and the points are nice and sharp. I’ve always sharpened my old saws and it’s worked out pretty well for the most part. I’ve even sharpened my crosscut saw and it worked like brand new. These days you can probably even look it up on youtube. Let’s be kind and say I’m frugal. There’s really not too much to it. Just need the right tools and a bit of patience and elbow grease and you’re good to go. Oops. My bad. Forgot one thing. You also need a saw set to adjust the teeth so that you have a kerf width enough so that the teeth of the saw don’t bind. Other than that there really is not much to it. Just for the fun of seeing people doing amazing work check out the wheelwright videos on YouTube. I have a Foley Mill. 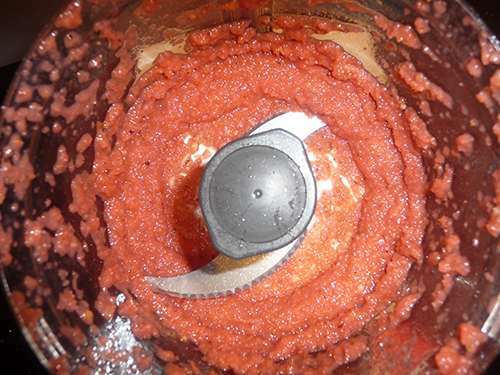 It mashes soft foods while removing seeds and skins.handy for tomatoes or fruits. I also have two very old hand cranked meat grinders. 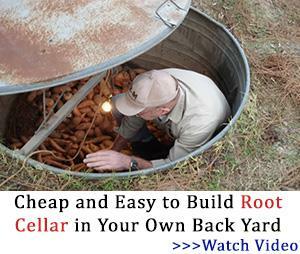 Good for fruits if you want the skins ground up also. My favorite cranberry sauce is as simple as grinding 1 orange, skin on, 1 orange peeled, 3 cups of cranberries and stir in sugar to taste. I put it in a large strainer to let the juice drain off into a large bowl. The juice plus ice is a nice beverage and the sauce is good with roasted turkey, chicken, or rabbit. You could also let it drain quite dry then spread it on piled parchment or plastic wrap and dry to leather. The old tools are still my choice for a lot of things I do. I have power tools in the shop and kitchen but for smaller or quick jobs, hand tools suite me. Many hand tools are still available. In addition to my heirlooms I have a newer meat grinder with the tip for filling sausages. My Foley mill is older but similar sieves with a hand turned blade are still available. They mash soft fruits and foods while separating out seeds and skins. I have two modern flour mills that are hand cranked. There are electric models also. I have a ricer but it was best for making mashed potatoes. That’s all I’ve ever used it for. I suppose it could mash soft fruits. There are a lot of blacksmiths in my state. Some make tools while others are more into art. They are capable of fabricating quite a few things. At our State Fair a group always has a booth near the farm exhibits. They sell and demonstrate their ancient crafts. I’m not too interested in learning such a strenuous or hot skill but I love watching. From banding a wooden wheel to making and repairing tools they are an interesting bunch. Surprising but many are young men and women. It isn’t just an old timers craft.